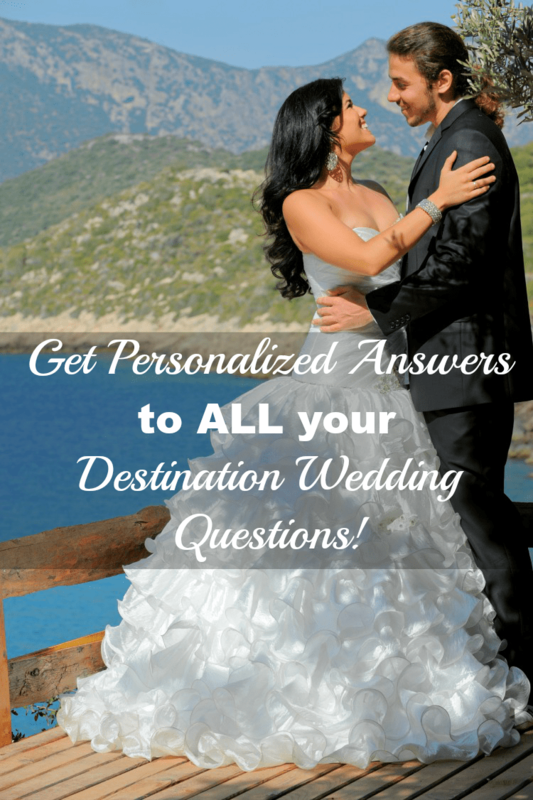 I’m so excited to introduce you to our new feature called Ask the Destination Wedding Doctor. Here you’ll find answers to the most frequently asked destination wedding questions — and if you don’t find the answer to your question, you can just fill out the form at the end of this post and we will answer you personally. I know how intimidating and confusing destination wedding planning can be when you first start— after all, you’re planning a wedding, a group vacation, and a honeymoon all in one. You’re doing it long distance, sometimes with cultural or language barriers to overcome. I know you have lots of questions. Every day my inbox is full of them. 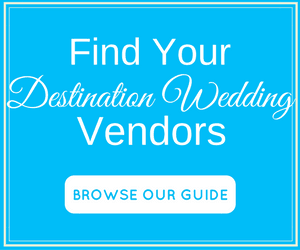 To help me answer all your questions, I tapped destination wedding guru, Jack Benoff. 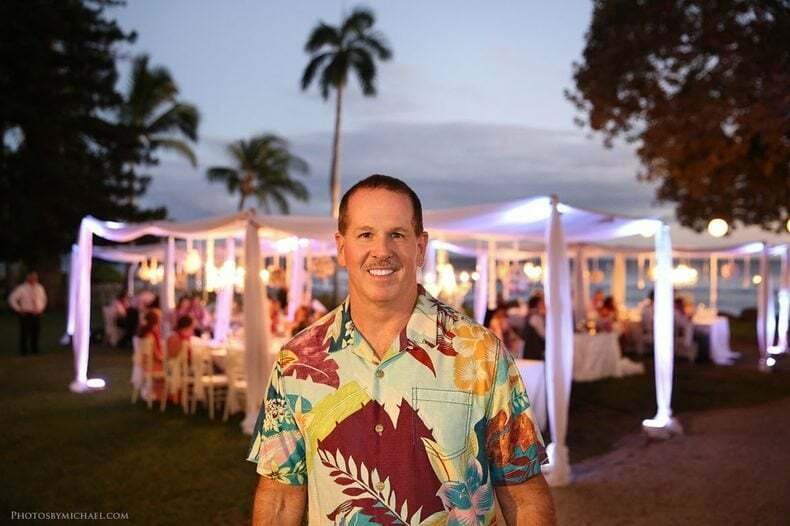 Jack is the President of Vacationeeze, a family run travel company with over 25 years experience in the industry. Jack is actually a doctor by trade, who decided to leave his practice a few years ago to start a travel company specializing in honeymoons and destination weddings. He quickly grew the company and sold it to the Knot and became part of The Knot. After leaving The Knot, he spent time consulting with resorts and then decided to start Vacationeeze to focus on helping clients plan their honeymoons and destination weddings. On any given week, someone from the Vacationeeze team is traveling to a different destination around the world to meet the wedding planners or host one of their clients and their guests at the resort. Vacationeeze has a great reputation for helping couples plan a stress-free, dream destination wedding. 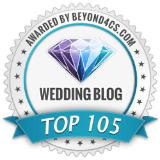 Jack is an incredible resource and I’m so excited to have him help demystify the destination wedding planning process for you. Remember, if you don’t see your question answered here, make sure you ask by filling out the comment form at the bottom of this post and we will answer you personally. All questions will be answered so make sure you ask away! Q: What destinations have the least amount of requirements to have a legal wedding? A: Anywhere in the US will be similar to getting married at home. 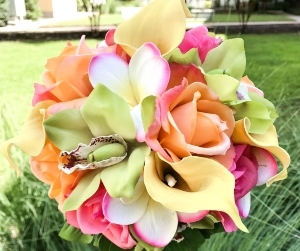 Mexico and Jamaica are also convenient places to get married legally. In Mexico you will have to complete some paperwork prior to arriving, have a blood test in Mexico, be over 18, have a witness and be in the country a few days prior to the legal ceremony. In Jamaica you will need to be 18, be in the country for 2 days prior to the wedding date, but no blood test is need. Most other destinations have similar requirements. The reality is that most clients will get legally married in the US and then have a symbolic ceremony at the destination of their dreams. Q: What locations at the resorts can I be married at? A: Most of the resorts Vacationeeze works with offer several location options. The most popular location is on the beach. Resorts such as Generations Riviera Maya and Azul Sensatori now have roof top venues that look over the resort and the beach and have amazing views. Most resorts also have locations in the gardens, in a gazebo, on a pier or around the pool. A few of the resorts have their own wedding chapel or church. One or two of the resorts even have private islands for you to be married on. No matter what you are looking for, Vacationeeze can typically find a resort that will help make your dream come true. In addition, at most destinations you can have events outside of the resorts at places such as waterfalls, cenotes, caves, sailing boats and many more unique locations. Q: I want to have my wedding at an adults only resort but I have guests that are children, can they attend? A: The simple answer is, maybe. Some adults-only resorts will allow the kids to attend but for a limited amount of time. Some resorts will have restrictions as to where you can hold the ceremony and reception if there are children. In some cases Vacationeeze will work with resorts that are close to a sister family-resort that allows everyone to stay. In that case you might have the adults stay at the adults-only resort and have the ceremony at the family resort. Q: What are your most popular destination wedding resorts? A: The most popular resorts include: El Dorado Seaside Suites, Secrets Capri, Dreams Riviera Cancun, Secrets St. James in Jamaica, Beaches Negril, Dreams Palm Beach Punta Cana, and The Hard Rock resort in Cancun. Q: I see advertisements for free Destination Weddings. Are they really FREE? A: The answer is actually yes. 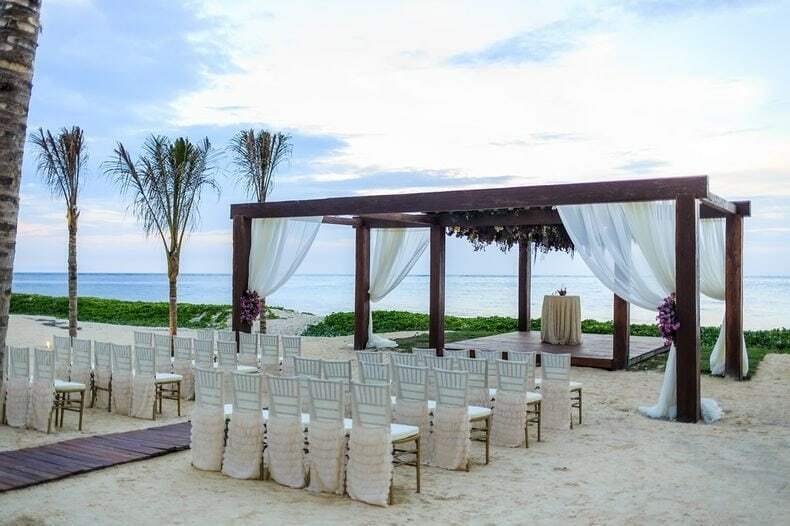 Many of the resorts Vacationeeze works with will provide you a free ceremony and limited reception. Each resort has certain requirements such as a minimum number of rooms booked or that you stay in a certain room type, or that you (or your guests) stay a minimum number of nights. Most of the free packages are for symbolic weddings only. 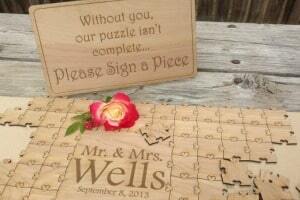 Each package typically includes the ceremony, a toast, cake and a few other special things. Q: Can Vacationeeze organize activities for our stay? A: Yes! That is the fun of a destination wedding. Vacationeeze can organize many different group activities such as a private sailing trip, cooking classes, a spa day, a golf outing, an adventure zip lining trip and much more. We can also organize sporting events at the resort for your group. If you have an idea in most places we can help make that dream a reality. Q: We want to have a reception in the evening. What can you do for us? A: Anything you can do at home, we can typically arrange for your destination wedding. If you dream of arriving to your reception in a horse drawn carriage, we can do that. If you want a barefoot party on the beach with a DJ and special lighting we can handle that. Interested in fireworks on the beach or a bonfire, we can do that also. We can help you customize the menu, hire a photographer, pick your theme and decorations, and select your music to make your event memorable. The cost for events, are typically much less than it would cost you at home. Q: How far in advance should I book my destination wedding? A: For your destination wedding, we suggest that you start to plan 12 to 18 months in advance. We have also had clients book 4 months in advance. Q: How do I get my wedding gown to the resort? A: We do not suggest shipping your gown in advance as there is no way to assure it will make it to the resort. We suggest that you either carry your bridal gown on the plane or you ask your bridal shop to pack it for you in a carry-on or a box. Once you arrive at the resort you will meet with one of the wedding planners and they will work with you to unpack and steam the gown so it looks brand new. Q: What is the best time of day to have a destination wedding? 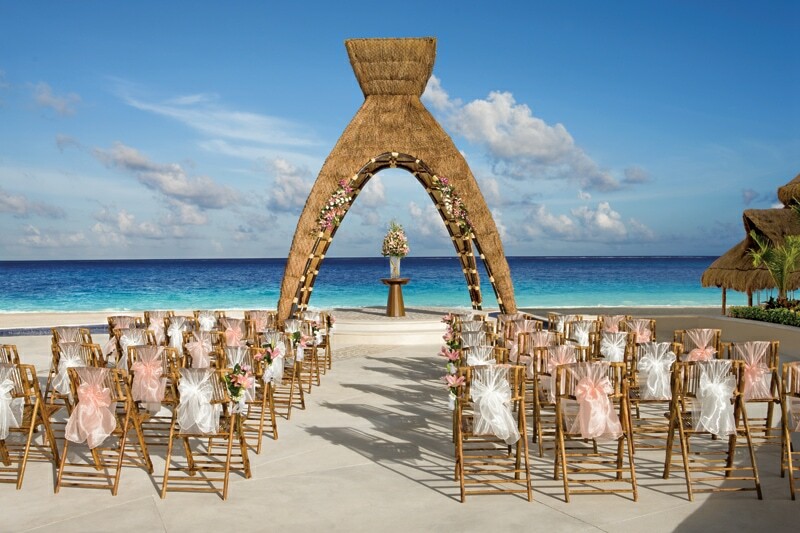 A: Each resort has certain times for the ceremony. As we help you plan we need to think about the time of day and time of year. It is not much fun having a wedding on the beach at 1 pm in the afternoon when it is 100 degrees out. We have to think about the weather in selecting the location. 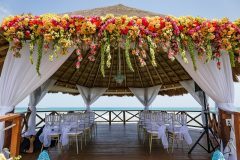 Q: Do I need to hire a wedding coordinator for my destination wedding? A: No! This is part of the service we provide. We will work with you to plan the event and travel arrangements for you and your guests. We will also have you work with one of the coordinators at the resorts that we work with. They can help you with everything from selecting your menus, the location for the ceremony, your flowers and anything else you can think of. Don’t see the answer to your question? Just scroll to the comment form below, send us your destination wedding question, and we will answer you personally. I would be grateful to know what the legal requirements are for booking outdoor wedding ceremonies at a destination wedding. Does this vary by country? 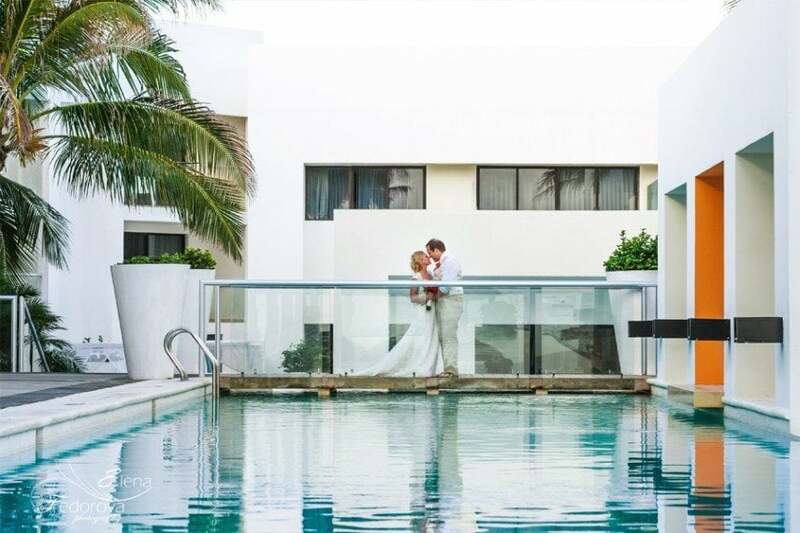 Can I book two venues, in case of bad weather, does the ceremony always have to happen at one pre-notified location, or are there places the location of the ceremony doesn’t need to be notified and it could be beach, pool, inside venue, another hotel, if need be? We are thinking of planning a destination wedding. I was wondering if there are packages that include you flight I want to make this as simple as possible for my family. Audrey, that is a good question. Typically we will reserve a block of rooms for our clients. This is very important as it will provide you a rate so that everyone is getting the same price and that you actually have rooms for everyone. It also will provide you perks such as private events, room upgrades and maybe even free rooms. In terms of the flights the airlines are not as easy to work with in the US. What we find in the US is that many guests have points or free miles or want to fly specific airlines so it makes it slightly harder. We can request a group rate with the airline but they typically will require 10-20 seats on the same exact flights and sometimes the price they provide for the group is actually higher then what we can book for you without the group. So the bottom line is our goal is always to make this a fun and stress free experience for both you and your guests but we just need to see what the correct solution is. In Canada it is somewhat different as there we typically do create a package with the flights. Hope that helps. Feel free to contact me with any other questions and if you need help planning your wedding. We have a wedding planned for immediate family only, in Hawaii. But we are having a reception after the wedding to include the extended family and friends back home. Do we send out announcements? Or just invitations to the reception? My fiancé and I are getting married in Cancun this October. After much discussion and outside family bickering, we decided to forgo our initial idea of having a small intimate wedding with just our immediate family and closest friends and instead open up our guest list to whomever wants to come. Our travel agent found us a fantastic resort with a HUGE discount on rooms that ends at the end of February. After that, all rooms will go back to their normal prices and we anticipate not as many people will come if they don’t book by February. I don’t need a final guest count until July but I’d like to have an idea of the number before then so we can pick the right venues and plan accordingly. We are still planning on having a reception at home for anyone who cannot attend. We are thinking of sending our destination wedding save the dates as emails so that guests will receive the information faster and will have more time to book their trip if they choose to go. That said, I’m not sure how to word the save the date so it includes everything since it’s supposed to be simple. I was thinking of sending the email with two attachments for (1) information on the Cancun wedding and how to book it/cost per person/etc. and (2) information on the at home reception (we still have no idea what we’re doing for that). 1. Are virtual save the dates an etiquette no no? Are the attachments a tacky idea? 2. How do I word the save the date so that guests know that they have to decide whether or not they are attending the wedding in Cancun, the at home reception, or both? 3. When do I make the RSVP date since Feb 28th is the last day for the discount but we don’t need final number until the end of July? I’ve seen other questions about how to word their save the dates but I didn’t see a response. I hope you have time to answer this because I’m at a loss and would really appreciate your help! The reason I suggest them is because they have a cool RSVP manager that lets you segment your guest list and collect RSVP’s for each event. Here’s an image to show you what I mean..
That way people can RSVP for the destination wedding or the hometown reception, or both right on the website. Then there’s really no need for you to worry about how to word it because it’s so self-explanatory. On your website, you can say something like, “The deadline to book rooms at the group rate of X amount is February 28” but set your RSVP based on when you need a final number. I actually had to do this myself for my destination wedding — on my personal website, I gave everyone the deadline to book rooms at the group rate but told them the final date to RSVP also. Most people booked by the deadline to get the group rate but a few people waited until the final RSVP date and missed the group discount. I hope this helps! If my fiance and I get legally married in Hawaii, and God forbid we end up divorced, what state laws are used to govern the divorce proceedings. Hawaii’s or California’s (California is where we legally reside). Typically the laws of the state where the divorce is filed would govern the divorce proceedings. -I am from Florida and my fiancé is from Ireland, we met while traveling in Georgia, US. He currently lives and works in LA, and i live and work in Jacksonville. Once we get married we are going to relocate (either live together in LA or his job may send us to London) My question is our lives are all over the place and our families are all over the world. How do we pick a wedding destination? I’ve seen people have two weddings but I’m not sure about that either? -My second question, if we end up with a very small destination wedding and were able to pay for the hotel rooms of our guests (because we wanted to due to them traveling a good distance), how do we go about telling them? Do we say this on on the invitation? Do we just call the short list and tell them? Hello, We are getting married Jan 13 in Mexico. We are sending save the dates this week with a link to personal wedding website with booking info and RSVP section. One of our hotels requires booking by Nov 12 for group rate, so we wrote that rooms should be booked by Nov 1. Should we also make our RSVP deadline Nov 1 to match the group rate deadline, or is requesting RSVPs two months before the wedding way too soon? Dec 1 sounds like a better RSVP deadline but I don’t want everyone getting confused with dates. Thanks so much for your advice! I would say the most important thing you can do is discuss this issue with your travel agent and review the contract. Each resort provides different terms within their contracts. If the resort contract indicate the deposit must be paid by the 12th then I do think it is a good idea to back up the date a week or so as we always see stragglers in the booking process. Many of the resorts provide other reduction dates in the contract to help with this process. Again I think the most important thing you can do is talk with your travel agent you are working with to better understand the process. This is one of the great things we all do for our client so that you can stay the VIP Bride and groom and not have to become the tour organizer and travel agent. I am invited to a destination wedding and will be staying off the resort at a condo. I just find out that the resort might ask me to pay a day fee of $100 or more per person to go to the wedding. I would hope that this was mentioned to the bride and groom prior to the final booking. I am not the only one in this situation. What should I do ? Information came thru destinationweddings and not the resort. I have tried to reach the resort but no answer to this question. Monica. Sorry for the delay in getting back to you. It would be great to better understand what a tight budget means. 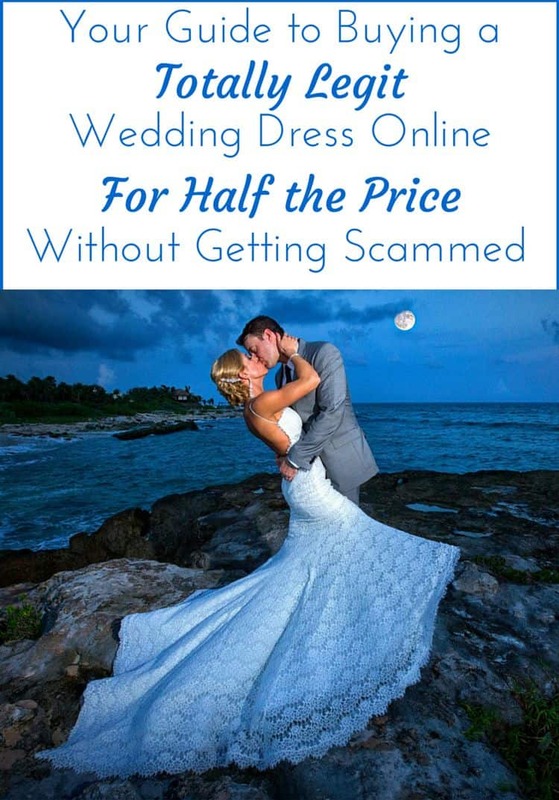 There are really two budgets when planning a wedding. There is the budget for the events, such as the ceremony, cocktails, reception and the cost for the DJ and photos. Then there is the budget for the guest stay. Since you are going to have around 20 guests, most resorts have packages for under 25 that range from $2000 to $3000 for your ceremony and events such as a private reception. We can always customize a package depending upon your budget. I think the most important thing is finding the perfect resort for you and your guests. I understand that you are not interested in Mexico, but Mexico is the place that you will get the most bang for the buck and the best overall experience for your guests. I would say the next place would be Punta Cana. We are having a destination wedding and are currently preparing our invites. Do you put the the travel costs for the guests on the invite? 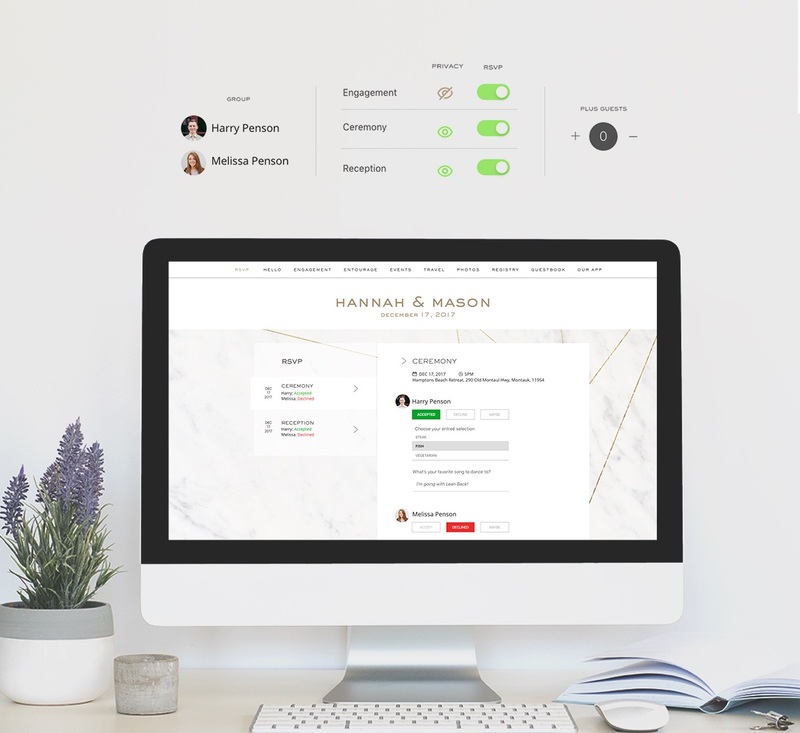 Do you have a personal wedding website? If so, you should include your website URL in the invitations and put all of those details on the website. Hi! Read some of the above and hope this is not a second time asking but….my daughter is getting married in NOLA and none of us live near there. I happen to live in the Virgin Islands so things tend to be tricky here. Im wondering if it would be proper ettiquette to send welcome bags via mail to homes – then we could include tips, maps, coupons for Cafe Dumonde, tambourines and all kinds of things New Orleans. We have blocks at different hotels w different price points and I’m not sure we are going to be able to distribute at each hotel wo maddening confusion. Thoughts???? 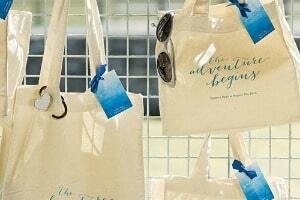 How many welcome bags are you going to be distributing? It might be a bit expensive and complicated to mail them out to each guest. If you’re having a welcome reception or any type of get together prior to the wedding, my advice would be to bring them down to NOLA with you and hand them out there. Hi. I’m having a small destination wedding in August. We’ve invited a total of 20 people (mostly family and a few very close friends). As a rule, we only added plus ones for married people and those in long term or live in relationships. When I first started planning my wedding, my maid of honour was in a new relationship and I didn’t plan to invite him because I have never met him-I moved away from home about 2 years ago and she still lives in VT. But now, they plan to move and are considering marriage. My fiancé and I envision a wedding that’s super intimate surrounded the people we love most in the world. We’ve cut no corners on making sure we are providing only the best for our guests to thank them for coming and we are spending a very high amount per guest to make that happen because it’s what we want. But, strangers were not included in this vision; spending this amount of money simply to meet someone I’ve never met on the most important day of my life is not an enjoyable thought for me. My wedding is so small it’s almost an elopement and one person I don’t know and our family/friends don’t know would be super awkward in that setting; my friend will be worried about her date and he’d definitely be all alone because no one knows him. She’d also, I expect, be busy with me and I’d be frustrated if she was taking time away from being there for me to make sure he was comfortable in a room full of strangers to him. The understanding is that he isn’t invited to the wedding but is more than welcome to join her on the destination and hopefully they can make a little holiday out of the rest of the weekend after the wedding; but now she wants him to come to my ceremony and reception-this pushes the guest list again and adds to the budget and would be a last minute change and quite frankly, I don’t want to do it. If I wanted to pay a lot of money for strangers to come to my wedding I wouldnt have planned it this way. What do you think? I know you don’t want to spend extra money or spend your wedding day with strangers but from what you explained this is not some random stranger. This is someone that your maid of honor (presumably your best friend?) is planning to marry some day. If it were some random person doing this or one of the other bridesmaids, I’d absolutely stick to my guns. But if it were me, I would bite the bullet and let my maid of honor bring her future husband. It’s just one person, but an important person to someone who is very important to you. I had a similar situation at my destination wedding. I initially told my friend that she could bring her friend to the destination but not the ceremony/reception. However once were at the destination, I got to know this person throughout the week and so did my friends/family. It felt super awkward to not invite them to the ceremony/reception so I changed my mind at the last minute and invited them. And everything was fine. The wedding was still awesome. Some of the things we stress prior to the wedding become so insignificant once the day arrives and we realize the magnitude of what we’re about to do (marry the love of our lives). But again, that’s just my opinion. This is very personal decision. Have a heart to heart with your friend/maid of honor and explain your position to her. It’s your day and I would hope she’d respect your decision. 1) Are there good online sites that help folks decide the best spot to get married in? 2) Is this a common issue couples face? Or do most folks who want a destination wedding, start with a pre-set idea of where they would like to get married. Congrats to both of you for thinking about having a destination wedding. Having a destination wedding solves some of the logistical travel issues for people with guest traveling from global locations. To answer your questions. 1. I don’t know of any website that helps you decide on where to host your wedding. 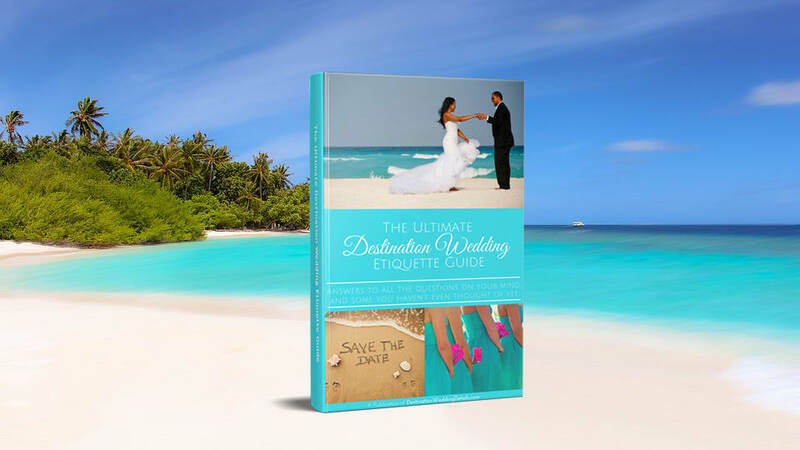 There are many sites that can provide information, but in my experience planning a destination wedding with guests traveling from all over the globe truly requires someone that has experience in managing global destination weddings. 2. Planning a destination wedding can be a fun but confusing process. I think many couples start with a destination or even a resort in mind. As they start to work with a specialist and get feedback on their ideas things can change. We work with many South Asian families helping them plan their weddings. We just had a wedding 2 weeks ago with 260 guests. The bride was from Dallas and the Groom was from NYC by way of London. We had guests from India, Texas, Australia, London, Dublin, Jordan, NYC, Dubai, Toronto and 6 or 7 other place in the US. The couple wanted a beach destination. We evaluated where the various guest would be flying from and how many from each so we could determine what destinations would make sense logistically but also meet the dreams of the couple and the families. The bottom line is, what you want to do can be done but I would not try it DYI. If you want to discuss any other questions or need help please feel free to contact me. If we can’t help I am sure I can find you someone like us that specializes in destination weddings. We have good friends who just happen to sing and take pictures. So in addition to inviting them to our wedding, we’ve asked them to be a part of it as well. My fiance is in a band and we’ve invited all the band members to attend our destination wedding. However, we’ve asked a couple of the guys to sing a couple songs and play guitar. In addition, I have a friend who is a photographer. She took my son’s senior pictures as well and I’ve worked with her for years. I’m not sure what is appropriate to pay for? All three people are bringing their entire families to the wedding. I don’t want to seem cheap but at the same time, we cannot pay for their family vacations either. They’re traveling about 300 miles and will be staying two nights. We absolutely do not expect to have them sing/take our pictures for free. I’m just not sure what exactly to pay for beyond the regular fees. Please help me by responding to my question. I’m really torn about this and I want to do the right thing! The bride and groom are not typically expected to pay for their guest’s travel expenses. But if you were to hire a photographer and musicians they will typically charge you for their travel fees in addition to their professional fee. Obviously, your good friends are straddling the line between guest and vendor so I understand your dilemma. You asked them to perform/photograph your wedding so I would say that it’s good etiquette (and good for your friendship) for you to cover the cost of their travel (or at least offer). That being said, I don’t think anyone would expect you to pay for their family’s travel. Hi Cynthia! Thanks for getting back to me! I have a complicated situation…ugggh! Would it be fair to pay for “their portion” of the cabin charge plus give them a gas card? They’re all driving. The one friend singing has reserved a four bedroom cabin…. large enough for his wife, two boys, his parents and his brother and his brother’s wife. So his part (if he came alone) would be considerably less than the total fee. We are providing a very nice luncheon, dinner and breakfast the following morning. We’ve also rented boats for everyone’s use! I appreciate your advice! I think that what you’re offering them is more than fair. I am having an intimate wedding ceremony in Yosemite National Park with only immediate family invited because of the location. We have decided that we would have a local/home wedding reception with the rest of our family and friends at a later date. Is it bad etiquette to not have a dinner or mini reception immediately following the ceremony since we already have the big reception already planned? We don’t have the budget to do two receptions. Shonda, this is a great question. First let me explain that there really are two type of destination weddings. First you have a legal wedding where you actually go to the destination and get legally married. Depending upon the destination you choose there are various requirements, one of which has to deal with divorce. Those are government marriage requirements and not dictated by the resort. The other type of wedding is called a Symbolic wedding. This is actually what most of our people including our clients do. I think last year we actually only had 1 legal wedding. For the symbolic wedding you would actually get legally married at home at your minister, local judge or other governmental location. Then you come to the resort and you have a ceremony which to everyone seems that you are actually getting married in front of them. You can have a local person marry you or you can even have a friend act as the officiant. I am now in Cabo and we had a wedding yesterday and the sister of the bride performed the ceremony and it was beautiful. Let me know if you have any other questions or we can be of any help in planning a destination wedding for you. We are getting married in Tennessee June 9, 2018. We have a general idea of how many will be able to attend our destination wedding, but we’d really like to get a more accurate number. Do you have any suggestions on wording for the “save the dates” that maybe gets people to rsvp even though its not the actual formal wedding invitation? Or is that an epic etiquette no no? 1) Along with the invitation, should the bride and groom write a note to say something like “Beause you are close to our heart, we wanted to share our wedding invitation with you” and not send RSVP card? However, we don’t want to run risk of insulting anyone by bringing to their attention that “we” think they won’t be able to come Or……..
2) Send invitation and RSVP card and no note? . Or…………. I definitely think that #1 can come off as a little insulting. Plus you’d be surprised at how many times I’ve heard destination couples incorrectly assume that someone won’t come to their wedding. We are planning our destination wedding for next march in Mexico. Both my fiancé and I have large families and we already know most people won’t be attending. We are trying to decide which is better/more proper for our friends and family that can’t make it to the wedding. A “send off party” or a reception when we get back. We would only be inviting those who we invite to the wedding that can’t make it. What are your suggestions? I am scheduled to have my wedding this June in La Romana, DR. The resort I’m working with was fantastic when I went for the site visit, but now they are horrible in answering all my inquiries. All the perks they promised are not being honored. I don’t even see the incentive in having my wedding there anymore. 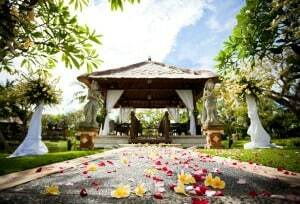 Since most of my guests have booked their rooms, I was seriously considering having my ceremony and reception somewhere else near by the resort. Where can I turn to to make this happen? Yes I’m that crazy. Lol. Carol, I am very sorry to hear this. 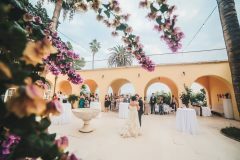 It sounds like that you are dealing directly with the resort and did not work with an experience travel agent that specialized in destination weddings. When we work with clients we make sure that we have all the perks the various vendors are providing outlined in the contract. Unfortunately it does not sound like the resort provided that to you. I have many ideas on how you might overcome some of the issues you are having. If you would like my thoughts please feel free to call me at 215-454-2080 and we can discuss and I can see how i might be able to help as without understanding the full situation anything I would write here could be incorrect. Please note that I am not soliciting any business from you but just trying to see if I can help you through the situation. Thank you Jack!!! I will definitely contact you. we need to tell the guests all the info they need for the weekend and resot and travel agent..
We are in the planning process of my daughter’s destination wedding in Carmel, CA this upcoming September. The goal was to have a small , immediate family, somewhat private wedding. It’s only been a month of planning so invites are next on my list. We are paying for hotel rooms for immediate family and grooms family, plane tickets, small reception in town after, etc.. I am so confused on how to handle the invites. Is it an invitation, save the date, or an announcement? I have not sent out invites and my sister already let us know she is going with her family (6 +) and paying their own hotel/flight . Many family members cant afford most likely or I can’t see coming yet I don’t want to have an uncertain amount/and expenses. How do I keep numbers down yet not hurt feelings? Sight inspections are a great idea. We suggest them to all of our clients but most actually don’t do them. They tend to trust our suggestions on resorts. A few times a year I actually organize a group site inspection for clients that are thinking of having a wedding in a given location. We visit the resorts that they are interested in plus a few others. I also meet clients and families to take them as you see different things then if you are there by yourself with the planner at the resort. As I mentioned sight inspections are a great idea. A few things I tell clients to look for or point out. 1. Look at the various venues for ceremonies as well as your events. 2. Ask them to show you plan b locations just in case of a weather issue. 3. Sit and talk with the planners at the resort and learn about their packages and their flexibility. Make sure they will customize to what you want versus what they want you to have. Many resorts are not as flexible as we would like and for that reason we tend not to suggest. 4. Ask to taste the food that they will serve at your events. 5. Understand their policies when it comes to outside vendors. 6. Eat at a few of their restaurants. Confirm if they require wristbands for guest. Confirm if they limit the ala carte restaurants your guests can eat at during the stay or if they need reservations upon check in. 7. Meet their inhouse entertainment and photography teams. Make sure they will do what you want and the prices are something you feel is fair. 8. Ask if the planner you start to work with will be who will be with you that day. 9. Ask how many other weddings are that day if there are many where they are related to yours. 10 Look at the brands of beverages at the bars and make sure you feel these are what your guests are used to and that they are not serving brands that no one knows in flimsy plastic cups. 11. Just get a good feel for the team. Just because a resort is good for a 5 night vacation does not mean it is good to host a destination wedding for your special day. If you have a travel agency that you are working with already see if they have contacts or experience at the resort as they can help you even before you arrive. I hope that helps and I applaud you for taking the time to do the sight inspection. Have a great trip and if you need any other help please feel free to contact me. Needing some help. We are planning a family only ceremony, very small. However, I have had a lot of friends and family that know about the wedding asking how they can support and celebrate with us. We came up with a shower across the miles idea. The shower invitations have a recipe card included so they can fill out a favorite recipe and return. Then at the bottom we include are link to the registry. I know that it is not appropriate to send shower invitations to people who are not invited to the wedding. However, this is the only way I can find to include family and friends who are special to us and allow them to give a gift or not? Is this wrong? Or not a good idea? If you would suggest against it, do you have a better idea? While I love the idea of a “shower across the miles” and the recipe card, I don’t think it should include a link to your registry. Usually when someone receives a shower invite and not an invitation to the wedding, the perception (right or wrong) is that the couple is fishing for gifts. Maybe you can just keep it to the recipe card or turn the recipe card into something like the “recipe to a good marriage” where they give you advice and well wishes. Another popular trend with destination wedding couples is to have an “at home reception” after the destination wedding. It can be a reception/brunch/backyard bbq (or something along those lines) to celebrate with those who couldn’t travel. Good luck! What is the etiquette to cancel a destination wedding? All of our guests have already paid the deposit, which is non refundable, and I have guests going from other countries who have already paid for it in full. We feel so bad for everyone losing their money by canceling that we are actually considering going through a fake wedding just so people won’t lose their money. What do you think? The wedding is the first week of June 2017. Over the past few years I have had to work with a few clients to answer this question. I don’t think there is any perfect answer. Please consult with the travel professional you worked with arrange the trip. Here are some thoughts. 1. Review your contract with the resort and determine if there is a reduction clause that you can use to minimize the penalties to you and your guests. 2. If there are any guests that have purchased trip cancellation insurance they should use that. 3. If the wedding is in June then some of the guests that have paid in full might be able to get some of their money back. This depends upon the group contract you have. 4. In past I have had clients(the family or bride/groom) reimburse everyone that was going to attend that paid. 5. Depending upon the circumstances of the cancellation we have had a group of guests still travel. 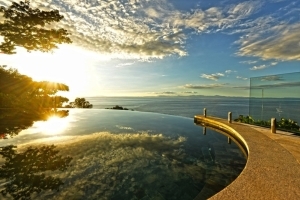 In one case we were able to negotiate with the resort for our client to allow name changes. We are planning my daughter’s destination wedding for next Spring in Negril, Jamaica. We struggling with picking a date taking weather and crowds into consideration. We’re trying to choose between mid March, early April or early May. Any thoughts? Hi there! I am planning on renting out complexes that sit next to each other on the beach. We would like to offer up the houses to family and friends and would love for people to be able to communicate with one another in case they want to rent a house together. The houses are all 3 bedrooms so if two or three couples want to pair up I would like for them to have a way to speak to one another. 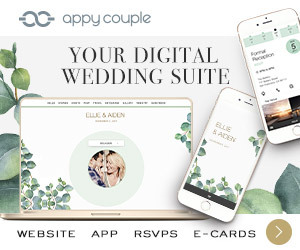 My question is… are there wedding websites that allow for guests to chat with each other? My wife and I are going to a destination wedding in October. I understand that you generally do not give a gift since your gift was incurring the expenses of going to the wedding. My issue is that the Bride and Groom are paying for all invitees rooms for two nights. What would proper etiquette? I’m wondering what a proper gift etiquette would be? 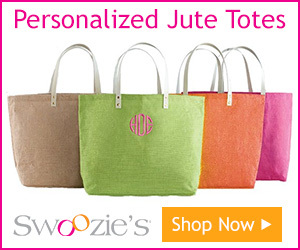 Has the couple (or their parents/bridal party) said anything about gifts? When I had my destination wedding, I let it be known that I didn’t want or expect gifts. I wrote something in the invitations that said “Your presence is the only gift we wish to receive”. I also spread the word via my parents. Despite our request, a few guests still gave us gifts anyway but it totally wasn’t something we were expecting at all but were very grateful for. We got a few cards with cash in them. One family member surprised me with a gift card to one of the salons at the resort. Someone else gave me and my hubby a couple’s spa treatment at the resort. We thought those were thoughtful gifts and we were very grateful because we weren’t expecting anything. I’m having a destination wedding in January 2018 in Riviera Maya. One of my best friends is a teacher and will have a hard time getting off work to begin with, but if she is allowed the time off, she said a couple days will be days she will simply not be paid for (she has no paid time off benefits). She said she will lose roughly 600-700 dollars for that paycheck along with paying the actual cost of the flights and accommodations. We looked at getting married and having the majority of the wedding trip on her time off for school break. But of course those times are prime traveling times and our entire all inclusive trip would be at least a 1000 dollars more a person because of that, and we will have 40+ other guests. My fiancé and I will be paying for the expected costs involved with a destination wedding.. such as a welcome party, and the actual ceremony and reception, plus our own travel and accommodation costs. Is there any etiquette for a situation like this? Should I be offering to pay for any of her costs? This is a tough one as there is no perfect answer. We have been helping clients plan their destination weddings for over 20 years and periodically we run into situations similar to this. In some cases, I have seen the host pay a portion or the full cost. Other times we request a shorter stay for the guests. The other thing is that when we work with the client to pick the resort, we try to find resorts that will provide free ceremonies and receptions as well as provide free rooms and room credits. Those perks could ultimately help when these unique situations arise. Hi Katie! I had a similar situation with my one of my best friends when I was planning my destination wedding. I was getting some free room credits from my resort because I had a large group, so I passed those free nights on to her and I payed for her flight, because I could afford it at the time. As Jack said, there’s no perfect answer and only you know if you can afford it and want to take on that expense. Only you can answer that. It’s not necessary or expected to pay for anyone’s travel expenses when you’re having a destination wedding. But for me, it came down to how much I wanted my friend to be there with me, how difficult I knew her financial situation was, and the fact that I had plenty of money to cover her costs. It’s a personal decision. Hi, I’m going to be getting married in the Dominican Republic in June. I was planning on using 350ml Ron Barcelo as party favors, but I don’t think I’m allowed to purchase them in the duty free store upon my arrival. Any recommendations where I can get this item at a reasonable rate? I don’t want to ask the resort. There are a few options. You can ask the wedding planner to help with this. You can also just go to a local supermarket or bodega close to the resort. Another idea that works many times is to talk with one of the bellman at the resort and see if they can help directly or get you a taxi to help on the mission. You also need to check with the resort if they permit gift bags and/or if they charge to deliver them. It is also important to remind your guest that if they want to take the gift home they should remember to pack them in their luggage as they can’t take them in their carry on. They’re not really an online store, but you can order online and pay for it when you arrive in DR. I’m pretty sure they have 350 ml Barcelo bottles. Hi Cynthia, Thank you so much for the reference. I tried their website, but almost all their items are not available. Did they go out of business? I’m not sure, but if you check out their Facebook page, you’ll notice they’ve posted and have commented as recently as February. Maybe something’s wrong with their site. If I were you, I’d call or email them. Jack also had some great suggestions about picking up those items at local stores or markets in DR. I don’t think you’ll have a problem finding barcelo bottles out there. 🙂 I’ve seen them all over the place when I’ve visited. 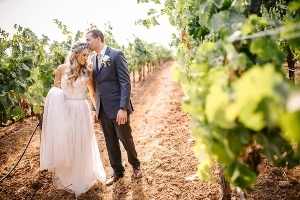 Destination wedding, is it customary to EXPECT the wedding party to pay for the travel expenses to be in the wedding at a remote location other than the local venues. Rhonda this is a great question. The majority of times, the couple does not pay for those items. If you pick the right resort or destination, then the guests will look at this as a vacation and not an obligation. Sometimes we see the host pay for some of their guests travel expenses. Other times we see the hosts subsidize some of the guests cost. If you plan far enough in advance the guest can make monthly payments to the trip. As we work with clients we learn more about the guests and their budgets so we can find the perfect destination at a price most people can afford. The only time we could schedule our wedding for was 2pm. The reception is not not until 6pm. We will probably do a cocktail hour and I know that taking pictures will take up time, but what suggestions do you have for things to do with our guests in that time frame to still make the day special and not have them just waiting around? Chaey. Those are great times. Depending upon the resort, there are many things you can do. In the past we have organized a cooking class or a tequila tasting. We have also done a massage class or even a spa afternoon for a group. We recently had the same situation and we did a shopping trip to a jewelry factory and a bike ride. We have a wedding in the near future with similar times and we are doing a mixology party. Have fun and enjoy your special day. I hope you can help me with some clarity on proper etiquettes for my daughter’s destination wedding. 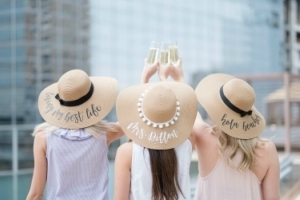 Do we still do a Bridal Shower, Jack & Jill party and engagement party if we are doing a destination wedding? My thought is no because of the cost of doing a destination wedding that everyone will be absorbing. Susan thanks for the question. My experience is that most of our clients still have showers and other events at home. That way those that are not attending the destination wedding can still celebrate with the family. Sometime we work with our clients to organize a shower brunch at the wedding destination. We also have been helping clients plan bachelor or bachelorette trips prior to the wedding or even during the destination wedding. As an example, right now I am in Mexico at a client’s wedding and tomorrow we have organized a bachelor party zip line trip and a night at a club for the women. Each client we work with seeks a different experience and we try to customize to provide everyone attending a memorable trip. My fiancee and I are planning our wedding in Mexico early April 2018. We want to send out save the dates and invitations ASAP so our guests can start to save. The problem is we are still looking for quotes and quotes depend on the number of guests. However we won’t know the number of guests until we send out invites. But people can’t rsvp if they don’t know how much it is. Can you offer some suggestions? I feel like I’m going in circles. Congrats on planning your wedding in Mexico. There are many great resorts to work with there. You indicated that you are still looking at quotes. Are you dealing directly with the resorts? it is important to not only look at the prices they are providing but also any perks they may offer. The most important thing is to work with someone that has experience with resorts that you are looking at. When you are looking at quotes there are really two things. First is the quote for the rooms and the other is the quote for the events and ceremonies. As you have found most resorts have different prices for different packages and are based upon the number of people attending. The way we typically work is to request proposals from the resorts based upon a number you feel comfortable will attend. Within the proposal we also ask for a reduction and escalation clause. This will give us the ability add rooms/guests or reduce rooms and guests and still have the price stay the same for the stay. So this will solve the problem of price changes for the guest stay and budget. The only variable could be the flights. We deal with the problem of estimating guest counts all the time. Here is a simple formula that I have used over the past years that has proven to be pretty close with most clients. Make a big list of everyone you are going to invite. Then take everyone you know needs to attend such as family, the two of you and anyone else that you know 99% will attend. Then look at the rest of the list. Based upon my experience 30% of those people will actually provide a deposit when it is due. So now just add the 99% to the 30% and you will have a good estimate of the number of people that will attend. The other important thing about this number is it then helps you select a resort. As an example if you think you will only have 20 people attend you might not want to book a 1000 room mega resorts. Or if you think you are going to have 100 people you probably don’t want to book a 200 room resort. What we do is create a brochure ASAP to be sent with the save the date. This has all the info and the prices so people can plan. It also gives them the dates for deposits. It makes it very easy for everyone and gets people excited. Enjoy the planning process. If you need any help or have questions about the resorts, planners at the resorts or anything else please feel free to contact me. My fiancé and I are looking at weddings in Mexico. It isn’t an all inclusive resort and we are looking at renting a villa to have the wedding ceremony and reception and that fits all of our 22 guest for the 4 day stay. The problem is that the villa is quite expensive. So my question is if it is ok to divide the cost of the bills for the 4 days with our guest and we just pay for the wedding expensives?